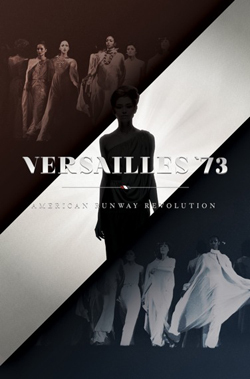 The fashion design program in the College of Visual and Performing Arts’ (VPA) Department of Design will host a screening of the fashion documentary “Versailles ’73: American Runway Revolution” and a conversation with director Deborah Riley Draper on Thursday, Feb. 7, at 2 p.m. in The Warehouse Auditorium, first floor, The Warehouse. The event is free and open to the University community. “Versailles ’73: American Runway Revolution” is a funny, extraordinary and often poignant collection of memories shared by the models, designers, journalists, patrons and others who witnessed the 1973 battle for runway dominance between the lions of French haute couture—Yves Saint Laurent, Christian Dior, Hubert de Givenchy, Pierre Cardin and Emanuel Ungaro—and bold, innovative American designers Anne Klein, Stephen Burrows, Bill Blass, Oscar de la Renta and Halston. Learn more at www.versailles73movie.com/. Atlanta-based Draper is an award-winning advertising executive with Effies, Addys and a Regional Emmy Award for her innovative marketing communication programs for blue-chip clients. “Versailles ’73: American Runway Revolution” marks her directorial debut. She launched Coffee Bluff Pictures in 2008 to meet the demand for films that shed light on underrepresented audiences but have universal appeal and tap into human truths. She is currently in development on two comedies, one drama and another fashion documentary. For more information, contact the fashion design program at 315-443-4644.